Providing you information about how to keep your kitchen as per Astrology. This is Astrological Remedies for your Kitchen. You can check your kitchen and set it as according to astrology suggest and get good health, wealth and much more for your family. Aapka kitchen kaisa hona chahiye, konsi chiz kahan rakhe kitchen main, sahi jagah sahi tarika kya hai kitchen main khana pakane ka? in sabhi chiz ko janiye aaj, Astro uncle ke aasan upay main. Kitchen, the chapel is a place that is sacred in home kitchen; Fulfillment of a side chapel where the curiosity of our mind, the soul, Father God, adding that nourishes our soul, the body, and the body is satisfied and maintained the kitchen, which is why we should pay special attention to the kitchen. Widespread kitchen brings trouble in your home, because kitchen is the place from where your body gets power. Your whole house get power from kitchen only, so if kitchen is not good then there is decrease in power of people of house. Disease, quarrels, ancestor drawback, the loan may be due improper kitchen. Good kitchen is essential for students, if the kitchen is good, the Sun, Rahu, Ketu, and Guru is good for. Do not enter in the kitchen without washing hands and legs, it means if you have work in the kitchen during morning, first you should have wash your hands and legs. Avoid entering in the kitchen wearing Slippers, shoes, dirty clothes. Master or Mistress of the house should not enter in to kitchen without washing hands and legs, if you do not do this then the negative influence of Rahu and Saturn will not decrease, the effect of washing hands and legs are reduced to a great extent. In houses where tooth brushing habits is stepping into the kitchen, bed tea, to make their lives normal life, this does not impact on the mentality of the people, there is no glow on their faces, anger comes early, stays petulance, always conflict situation persists, and the less stress there is no such homes. Body such as the abdomen moves, keeps the whole body, like the brain controls the maintenance of the house is the kitchen work, so then clean the kitchen before entering the day, make prayer of Om Gam Ganpataye Namah on the threshold of the kitchen. Then only enter the kitchen. Worship Mother Annapurna when you burn the stove very first time in the morning and before burning the stove, say Om agni devay namah. Repeat this for few days and you will find improvement in your home environment, digest system very soon. 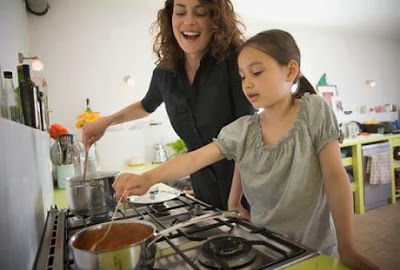 Your home environment cannot become good if you using stale food on the stove, because eating stale food, stale stove is when we start the day began to have an effect on our mind and goes home, decreases beauty of the house, did not survive splendor, remains tense atmosphere, incorrect use of language is also very dominant.